Joan joined the Apple Chill Cloggers in 2000. 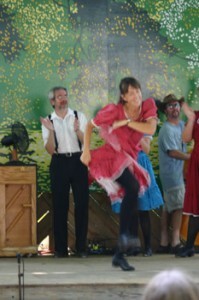 Joan loves to dance freestyle clogging, especially at the ‘Friday Night Jamboree’ in Floyd, Virginia. She enjoys performing with a diverse group of people interested in preserving traditional Appalachian dance styles.